Can water reach minus 263 degrees Celsius without turning into ice? 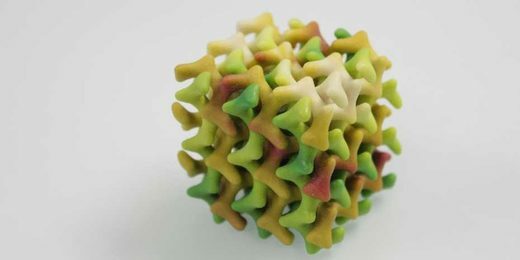 Yes it can, say researchers from ETH Zurich and the University of Zurich, if it is confined in nanometre-scale lipid channels. Making ice cubes is a simple process: you take a plastic ice-cube tray like you’d find in most households, fill it with water and put it in the freezer. Before long, the water crystallises and turns to ice. If you were to analyse the structure of ice crystals, you’d see that the water molecules are arranged in regular 3-dimensional lattice structures. In water, by contrast, the molecules are unorganised, which is the reason that water flows. Glassy water Led by Professors Raffaele Mezzenga and Ehud Landau, a group of physicists and chemists from ETH Zurich and the University of Zurich have now identified an unusual way to prevent water from forming ice crystals, so even at extreme sub-zero temperatures it retains the amorphous characteristics of a liquid.